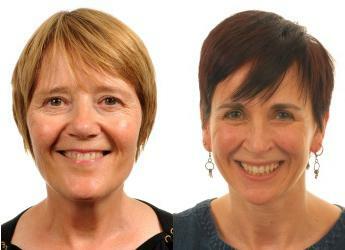 "Our Directors of Science share responsibility for developing and delivering the Institute’s Science Strategy through strategic planning, resource management and the maintenance and enhancement of scientific quality"
Following a recruitment exercise, the James Hutton Institute is pleased to confirm the appointment of Professor Lesley Torrance and Professor Deborah Roberts to the posts of Directors of Science on a permanent basis with immediate effect. Professors Torrance and Roberts, who have held the Director positions on an interim basis, will share responsibility for developing and delivering the Institute’s Science Strategy through strategic planning, resource management and the maintenance and enhancement of scientific quality. In addition, each will be responsible for specific areas of scientific activity and development. Professor Roberts is based on the Aberdeen campus and has responsibility for three of the science groups in the Institute: the Environmental and Biochemical Sciences (EBS) group, the Information and Computational Sciences (ICS) group and the Social, Economic and Geographical Sciences (SEGS) group. She is responsible for space and facilities on the Aberdeen campus, chairs both the Research Ethics and the Equality and Diversity committees and oversees the research strategy for the Institute's four farms and science-related links with the Macaulay Development Trust. Professor Torrance is based on the Institute’s Dundee site and is responsible for the Cell and Molecular Sciences (CMS) and Ecological Sciences (ES) groups. In addition to having responsibility for the space and facilities on the Dundee campus, Lesley leads interactions with the Mylnefield Trust, oversees the Institute’s postgraduate school and is responsible for interactions with the universities of Dundee and St Andrews. Professor Roberts, an agricultural economist, has over 25 years of research experience focussed on understanding the economic impacts of changes in rural policies and the drivers of rural development. She holds a joint position at the University of Aberdeen where she has been a Professor in Real Estate in the Business School since 2012. With almost 40 years of scientific experience, Professor Torrance has research interests including plant virology (viral infection mechanism and control) with current research projects studying virus-host interactions to investigate the molecular mechanisms of host resistance and how resistance is affected by abiotic stress. With a number of international collaborations (USA, Malawi, Kenya and China) she continues her research as a Professor in Virology in the University of St Andrews’ School of Biology. In addition she has held significant scientific leadership roles over the last 17 years. Professor Colin Campbell, Chief Executive of the James Hutton Institute, welcomed the appointments and said: “I am delighted Deb and Lesley have been successful in this process and look forward to building on the excellent work they have achieved during the interim period”.